The dialogue on seat belts safety will never end. Motor vehicles constitute an indispensable mode of transportation. However, they are also dangerous to vehicle occupants, motorcyclists, bicyclists, and pedestrians when drivers are careless or distracted. It is true that we are on the cusp of a new era in seat belts safety with the futuristic development of quasi-autonomous self-driving vehicles. Still, seat belts have been the lynchpin of motor vehicle safety since the first cars rolled off of production lines. 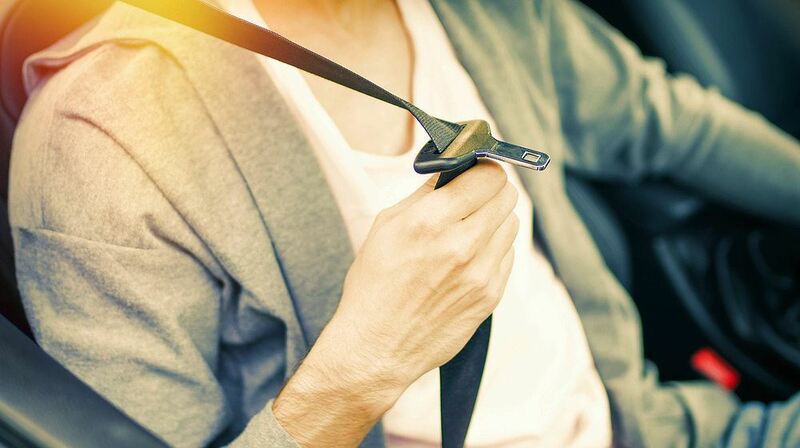 Are You Suffering From Seat Belts Safety Problems? Despite the valuable role that seat belts play in keeping vehicle occupants safe during a collision, they can create a false sense of security when they malfunction due to a defect. A well-functioning seat belt can greatly reduce the risk of permanent injuries and fatalities during a collision. However, a seat belt that fails to retract disengages and can result in traumatic brain injuries, vehicle ejections, and spinal cord damage. At the Law Offices of Edward A. Smith, we recognize the potential danger when critical vehicle safety features fail to perform as represented to the public. Seat belts are the most important safety feature of a motor vehicle. Even with collision avoidance systems and extensive airbag placement becoming commonplace, vehicle occupants rely on the fact safety restraint systems inside vehicles will function appropriately during a crash. 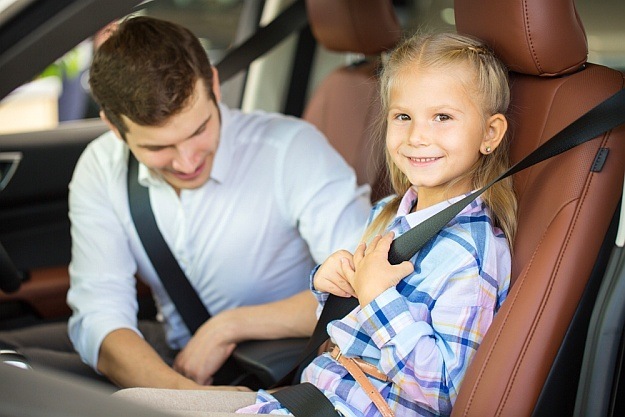 Unfortunately, our Sacramento seat belt failure injury lawyers are all too familiar with the practice of insurance companies of denying seat belt failure during a severe accident. The emotional pain of trying to recover from debilitating injuries or the loss of a loved one is often compounded. This is when insurance carriers add insult to injury by trying to argue that the victim of a faulty seat belt never buckled up in the first place. In effect, the insurance attorneys for the vehicle manufacturer or retailer will often engage in an aggressive “blame the victim” strategy to escape financial responsibility. California has a universal seat belt law that requires all drivers to fasten their lap belt and shoulder harness subject to narrow exceptions. Sadly, many people underestimate the effectiveness of seat belts. The technology has changed little in over half a century. The effectiveness of seat belts in reducing serious injuries and fatalities in car accidents can hardly be overstated. The Center for Disease Control (CDC) launched a study based on statistics from the National Highway Traffic Safety Administration (NHTSA). It estimated that lap/shoulder seat belts reduce the risk of fatal injury to front-seat passenger car occupants by 45 percent. The risk of moderate to critical injury is reduced by 50 percent. In light trucks (e.g. pickup trucks), seat belts reduce the risk of fatalities by 60 percent. Finally, moderate to critical injury is reduced by 65 percent according to the federal agency. The NHTSA projects that seat belts prevented over 12,800 deaths in the U.S. in 2014 alone. There are a fair number of people who complain about universal seat belt statutes. However, there is little doubt that they make a dramatic difference in California and other states with similar laws. California has a universal seat belt law. It requires all vehicle occupants to wear a seat belt (with narrow exceptions). The exception is for children who are required to use an age/size appropriate child safety restraint system. There are two broad categories of seat belt laws: (1) primary laws and (2) secondary laws. Primary laws authorize law enforcement officers to stop vehicles and issue citations based solely on non-compliance with California’s universal seat belt law. If a passenger fails to buckle up, both the passenger and driver can receive separate citations. Universal seat belt laws make a difference because the NHTSA estimates seat belt use at 90 percent for states with primary seat belt laws but only 79 percent in secondary law states. Faulty Tension Retractor Device: Many seat belts function by allowing slack in the shoulder harness but retract when the occupant is forced forward. When the retraction system fails to react to the vehicle occupant’s movement, the permanent slack can cause neck and spinal injuries, head and brain injuries, and/or abdominal injuries. False Latching: Sometimes defective seat belt latches do not fully engage even though they make a sound that resembles the latch engaging. This situation is referred to as “false latching” because the driver or passenger thinks they are safely secured when the reality is that the seat belt will become unbuckled when exposed to the force of a collision. Tearing Lap Belts: When the weave of the fabric used to construct the lap belt is not adequate, the fabric can be torn by debris, or the fabric can fail during a crash. Improper Use of Belt System: Many motorists wear only the lap belt and put the shoulder harness behind their body. Some older model vehicles also are not equipped with a shoulder harness. When both the lap and shoulder harness are not worn as intended, the upper body of the occupant can be subjected to intense energy that causes spinal fractures, injury to the brain or head, and trauma to the abdomen. Excessive Seat Belt Slack: Seat belts should be designed to fit around your body reasonably snuggly without excessive slack. When the seat belt allows too much slack, the body of a passenger or driver can be thrown backward or sideways causing the risk of serious injuries, such as impact with the glass or metal interior of the car door or windshield. Defective Buckles: Vehicles have been identified as having defective buckles that do not fasten properly, so vehicle occupants are not properly restrained. This defect exposes vehicle occupants to the risk of vehicle ejection during a crash. Passive Restraint Systems: Certain vehicles are equipped with automatic lap belts combined with manual lap belts. These systems can result in the person forgetting to buckle the lap belt. This mistake has caused devastating injuries that include decapitation, strangulation, paraplegia, quadriplegia, and liver laceration. Learn how to properly wear your seat belt from this helpful video from Howcast. I’m Ed Smith, a Sacramento Personal Injury Lawyer. I’ve been practicing in personal injury law exclusively since 1982. If you or a family member have been injured in a crash caused by seat belts safety failure or sticky accelerator pedal, please call me today at 916.921.6400 for free, friendly advice and to meet my friendly staff. I am a current member of the Million Dollar Advocates Forum. Trial lawyers here have won multiple cases worth more than a million dollars. Take a moment to review a long history of my successful case Verdicts and Settlements.